This reminds me of the LG smart TV (WebOS) that has several levels of guide available. At one level, OTA channels can be interleaved with ChannelPlus channels; at another level both can exist separately. Or one can designate which mix of channels one wants in the guide. With all of these features will Recast work when the internet is down? Exactly. Also, like the Channel Master Stream +, into which I have about twenty Pluto TV channels loaded. 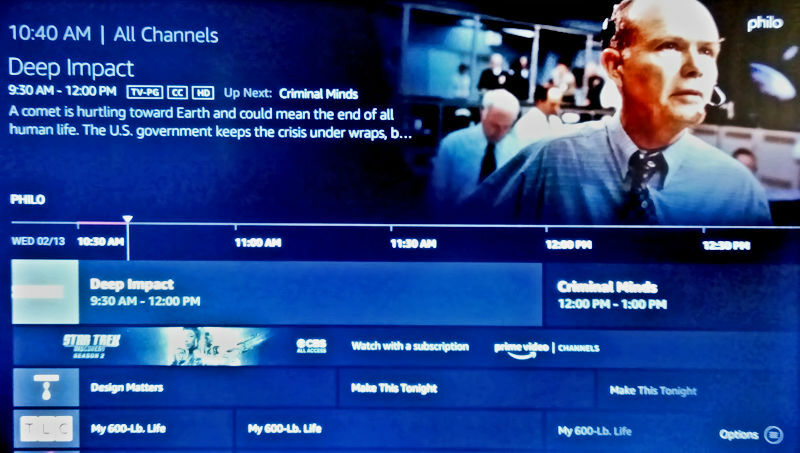 One difference (small one) is that in order to interleave Live content (such as Pluto or PS Vue), you must designate desired channels as “Favorites”, and then click to the Favorite Channels section to scroll, etc. Live (streaming) channels will not, pay services such as PS Vue will not. When the internet is down, you’ll be pure OTA. It would be strange that Amazon designed the Recast to work when the internet is down. The Fire TV stick sure wants to puke and force you into the internet settings to fix the problem. Amazon did not design the Recast to work when the internet is down. Reiterating previous reply: “Live (streaming) channels will not, pay services such as PS Vue will not. When the internet is down, you’ll be pure OTA”. You can tell it to add Pluto, but it only adds 12 channels - all of them news channels. I can’t find a way to add any Pluto channel beyond the 12 news offerings. Has anyone else successfully got more than 12 Pluto channels to load into the guide? There will (eventually) be many more channels, the process is not fast. By the time Recast is released, they hope to have at least half, possibly more. Between now and then, there will be more. The first (small) batch was all news channels, adding on top of that as they progress through it. Glad the other Pluto channels are going to be added in the future. 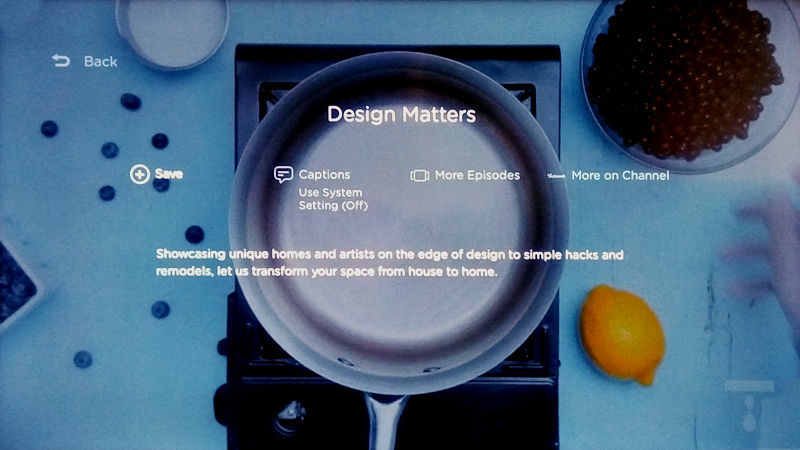 In addition to Pluto, I would love to see more live streams from other Fire TV apps made available in the live guide including, but not limited to, DW, Stirr, ABC News, NDTV, NHK, Weather Nation, Weather Network, Shudder, TWiT, ONNTV, North Bay TV, Nudu, and the live streams from apps that require cable sign ins (Fox/FX, Disney, CNN, AMC, TNT, etc). And, of course, the live Tablo channels! On Amazon’s WEB page for the Recast it says I can watch TV using my Fire TV stick. How is that possible for OTA if my Fire TV stick doesn’t work when the internet is down? There’s a good likelihood of more live / streaming content integration, a lot more. Most likely (so far) along the lines of “channel subscription” content within Amazon. The way they’re moving forward on this, who knows what the Recast will be like, next year at this time. A recording that I scheduled didn’t work. What happened? Transmitter inference (e.g. a weather event, airplanes) affecting channel reception or quality in your area. Recast will also (eventually) be able to incorporate Haystack TV along with Pluto channels in it’s Guide. Content will vary, depending upon user’s preferences (as set in Haystack), and will probably be looped, single-topic feeds per category, as chosen by user. 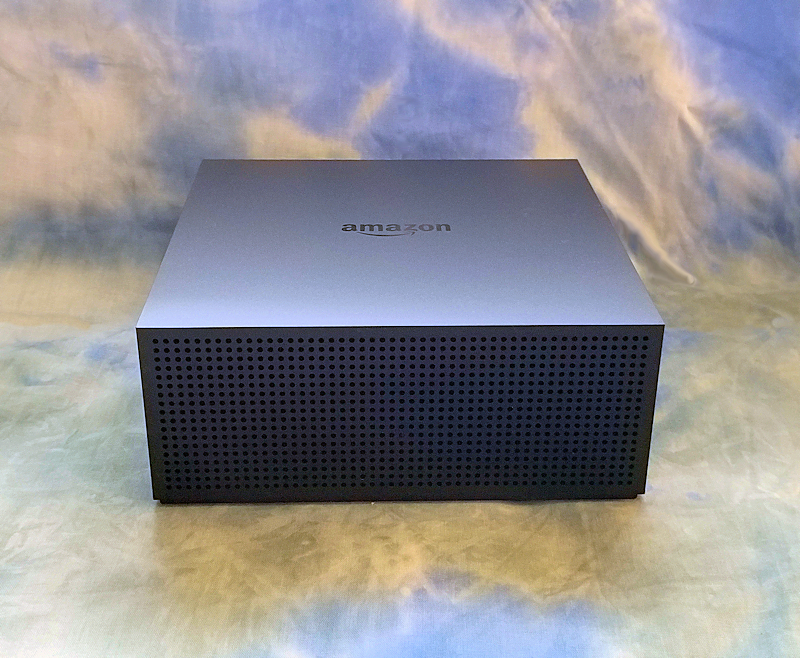 Other than the size, this could easily be mistaken as a (typical) Amazon streaming device. Though once unboxed, it’s something of a behemoth “chunk”. My love for gimmickry and gadgets allows me to see past that. At this time, there’s just a handful of (non-OTA) live content in the settings / menu, I’m looking forward to a lot more from Pluto and whoever else Amazon decides to drag into this box. The Recast went on sale last night: $179 for the 2-Tuner, $219 for the 4-Tuner. For those who pre-ordered and paid more, Amazon makes it VERY easy to return and re-order, and you have until January 31st to return it (they even send you the pre-printed labels for UPS). For those who don’t want to pack up the Recast and drop it off at UPS (or an Amazon locker) after the new one arrives, ten minutes on the phone with Customer service will get the difference credited back to your card. Unlike Best Buy, Frys (and everybody else), Amazon strangely does not do (fast, easy) Price Adjustments for items bought less than a month ago. They offer back as a “Discount” instead, each done on a case-by-case basis and credited to your card. I must be alone in not wanting a device like the Tablo or Recast to show me channels that it cannot record. Seems worthless and confusing. I’d much rather have Tablo work a deal like Silicon Dust did with their HDHomeRun Premium channels. That would be very interesting. Another source of television that I can watch, time shift and record all within the Tablo ecosphere. Um, yes please. Philo channels can now be added to the Recast Channel Guide. If you subscribe to Philo, go to Settings - Live TV - Live TV Sources and you’ll see Philo there, along with Pluto, etc… Select Philo to add it to your Guide. You can then go in and trim the fat. Choose the channels you wish to display in the guide, and those you wish to hide. You can also designate any of the Philo channels as “Favorites”, and they’ll show in the “Favorite” grid, right alongside your OTA and Pluto Favorites, as one group. Last little highlight here, is that you can go into your Philo account and change to settings to “Auto Start from Beginning”, any program you select from the Recast guide … so that any program you choose, while in the Recast guide, will begin at the beginning of the show (rather than ten minutes in, or whatever). And you can Save / DVR the program you’ve launched through the Recast Channel Guide. 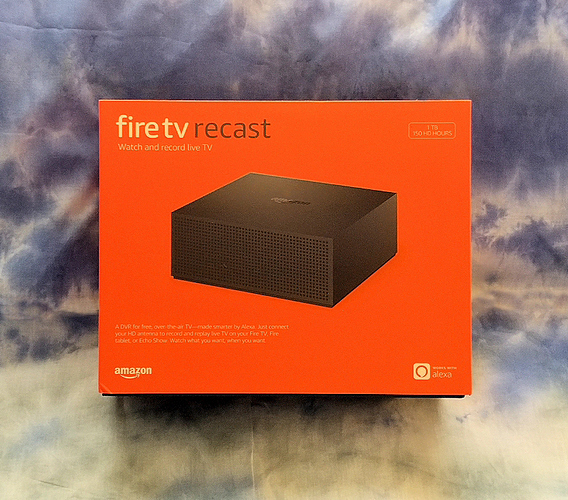 I returned my Amazon Recast because the RF tuners were extremely deficient and other let downs. Although it got me to discover Tablo, but waiting for the Quad. Hopefully Tablo RF tuner performance meets expectations.